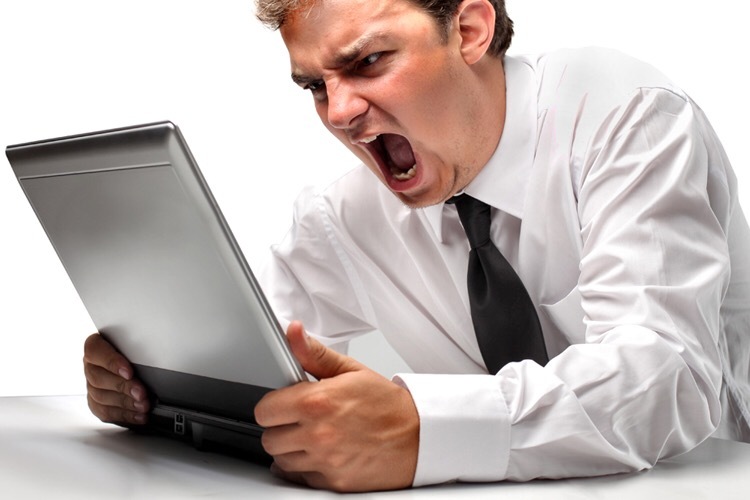 The number one emotion reported to be elicited while using the Internet is anger. What logic is there in betting emotionally angered at either the Internet or a computer, both are inatamate objects. Man is a unique being. He is unique among other creatures on earth. He is unique among his neighbors and his contemporaries. Man is complicated. Seldom are decisions made without thought or considering correlative information. Even meals are considered based upon what one feels like eating, has a taste for, or what we may even have a craving for (a craving being an urge or emotion). This is often coupled with considering what is healthier to eat. In this way, as in many others we are vastly unlike animals. Animals react to food on the basis of internal physiological needs. If energy is required, they eat, if not, they don’t; and what they eat may to us be putrid or even physiologically dangerous and poisonous. Anthropologic science attempts to separate these desires based solely on our brain’s size. The ability to think alone does not account for this. In fact, if pure thought, pure intellect were the reason, there would be no emotion. No thought of taste would enter into consideration for meals. Besides the far superior intellectual ability, man has something else. Unlike animals, man has a soul breathed into him by God. God gave us not only a superior mind, but a soul (Genesis 2:7). Man was given the ability to connect these two intangible yet effectual abilities. God wanted man to be like himself in many ways, including to make intellectual decisions like He does to love. Emotion operates on a feel good premise. When we feel good, it is a good emotion. When we feel bad, it is a bad emotion. Note, the emotion itself is not good or bad, it is a good or bad feeling we have to deal with. When we act simply on this, there is no thought it is normally a sense. What God asks us to do is decide, regardless of emotion, for Him and His glory, to follow Him. On emotion alone it is not possible to glorify God. Genesis 3:6 teaches us this through Eve, “when the woman saw that the tree was good for food, and that it was pleasant to the eyes, and a tree to be desired.” On thought alone it is not possible to glorify God as Genesis 3:6 goes further to say, “to make one wise.” Even after thought for goodness God cannot be glorified. The decision made by Eve even used her senses. Even in his earliest life, man is complicated. Look at the facts. Eve used her emotional decisions of good, the physical for food, the pleasant feeling of her eyes and her heart’s desire. She even used her intellectual need for wisdom. Three emotional feelings out weigh and even control the intellectual thought she has. This thought is good, it is for wisdom, but it is controlled by a baseness that drives other more important thoughts away, including the preeminent one that our purpose is to glorify God, to obey Him, to avoid sin. What we gather repeatedly from scripture, especially when it comes to sin being committed (look at David’s adultery with Bathsheba) (2 Samuel 11:1-4), is that our personal desirous emotions overtake our intellectual ability to think clearly and keep a proper focus. Instead of first thinking, “What would God have me do,” or “How can I best glorify God,” one simply looks at what is pleasant or perceived good by the senses and emotions, seldom giving thought to the potential sin. David saw Bathsheba and desired her. He did not think to look away because his continuing gaze was a temptation he enjoyed. Worse yet is emotion begins to control thought and we rationalize how sin is not actually sin. In David’s case, and that of other Israeli kings they see contemporaries, other pagan kings, living with certain life styles. Kings send generals to war for their kingdoms, they do not go themselves (2 Samuel 11:1). They have harems, they have concubines, I can have a harem and concubines. Joseph on the other hand ran. David should have run from his balcony to the battle field. There are only two possibilities as to how life arose; one is spontaneous generation arising to evolution, the other is a supernatural creative act of God, there is no third possibility. Spontaneous generation that life arose from non-living matter was scientifically disproved 120 years ago by Louis Pasteur and others. That leaves us with only one possible conclusion, that life arose as a creative act of God. I will not accept that philosophically because I do not want to believe in God, therefore I choose to believe in that which I know is scientifically impossible, spontaneous generation arising to evolution. So much of today’s life is focused on individually perceived wants or desires, a perceived need to be personally fulfilled, but only in a way one decides for themselves. This Eve-like attitude prevails regardless the overwhelming proof of man’s history, that self-fulfillment has never been fulfilling. Today this has developed to the point that, for children disappointment is viewed in many circles as evil, a wickedness that should never be permitted. Adults have lost the ability to challenge children to greater heights of godliness and social contribution, they can only appeal to the child’s emotional baseness.These immature emotions are futile, ever fluctuating and normally illogical. Feeling good is the supreme pinnacle of life that must be repeatedly achieved even at the cost of others happiness or conscience. For God so loved the world he gave His only begotten Son, that whosoever believeth in Him should not perish, but have everlasting life. The emotion of love drove God to make this decision. However, unlike how we exercise our emotions mostly focused upon self, God’s love is mostly and perfectly projected upon others. God’s love is always described as being for others, not for self. God’s love is always used to help others, not benefit self. All of God’s emotions are described as being projected outward. Chief of these is love which is absent of fear (1 Corinthians 13:13; 1 John 4:18). God’s love also has other characteristics that our love lacks until we accept Jesus as our Savior (1 John 4:19). God’s emotion-filled love defines Him, God is love (1 John 4:16). Further to this selfless love, we find God’s intellect in full operation. God’s love drove Him to want all of His created men and women to be with Him. Unlike us though, He does not compromise himself or His demand for perfect sinlessness to achieve these goals. God thinks through the challenge. Instead of levying upon those He loves an insurmountable unachievable requirement to maintain perfect sinless lives, He does it himself. God knows the only way man can achieve perfection is that He provides it. That is why God, through love, gave himself for our salvation. God’s perfect sinlessness atoned for God’s perfect love to make man perfectly sinless and loving not only in the eyes of God, but justified legally approved to enter His Kingdom. This is accomplished through a perfect grace embodied in Jesus, the Son of God who willingly left heaven and came to earth, suffered all man could do to hate Him including enduring the cross at Calvary (Philippians 2:5-8).